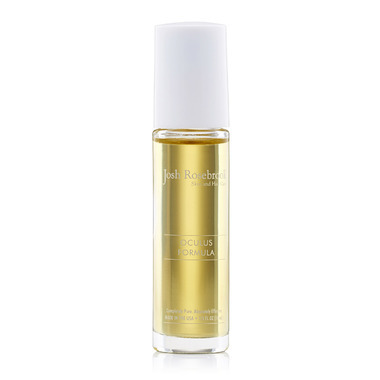 The Josh Rosebrook Oculus Formula is a concentrated, fast absorbing, active oil treatment formulated for the eye area. It contains a high ratio of herbal nutrients that is necessary to fully impact this delicate skin. Antioxidant and anti-inflammatory plant and herbal properties support collagen production, firm, and regenerate skin, while rich fatty acids and potent phytonutrients help reduce puffiness and protect the skin from accelerated damage. Tips: Apply to a clean face only. For proper hydration, delivery and circulation of actives, first mist with Hydrating Accelerator then apply the Oculus Formula around the eye area. Ingredients:*Camelina Oil, *Hemp Seed Oil, *Sunflower oil, *Grape Seed Oil, *Almond Oil, *Eyebright, *Neem, *Echinacea, *Alfalfa, *Blueberry, *Fennel, *Slippery Elm, *Skullcap, *Calendula Flowers, *Rosemary Leaf, *Chickweed, †Rose Essentail Oil, †Geranium Essential Oil, †Lavender Essential Oil, †Blue Chamomile Essential Oil, †Carrot Seed Essential Oil.